It seems like we have been talking forever about a voice calling feature for messaging app WhatsApp. Back in April, we told you that this capability might be soon available on the app. Five months later, a leaked image from the iOS version of WhatsApp revealed a reminder for users that they need to turn the microphone on in order for the feature to work. Last month, one of our loyal readers sent us images that revealed what some of the icons will look like once the messaging app launches its voice call service. Now, a new leak allegedly shows us the UI that WhatsApp will employ once it officially starts offering voice calls. 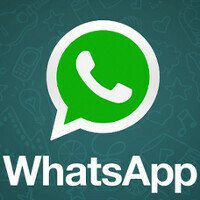 These images were taken from the Android version of the popular messaging app. While enabling voice calls will only allow the app to catch up with rivals like BBM, it will still be big news for the nearly half a billion WhatsApp users. WhatsApp was acquired earlier this year by Facebook for $21.8 billion. The original $19 billion purchase price was bumped higher thanks to appreciation in Facebook's shares, which was the currency used for the transaction. Despite the continuing leaks, there is still no word when voice calling will be launched by WhatsApp. Meanwhile, go ahead and click on the slideshow below to see what the feature might look like on the messaging app. Amazing, doesn't look like Hangouts and the stock Nexus dialer at all. Like this'll ever get on my hardware again hah. Do people still use whatsapp? whatsapp is used by so many users globally (US, Europe, Asia) more than any other messaging apps (yes, even Line). I know you don't like but get over it. WhatsApp needs an app redesign on Android. I've been using Telegram because it's the same features with a much nicer looking app. I prefer Hangouts because you can make a phone call via voip to any phone whether they have Hangouts installed or not.